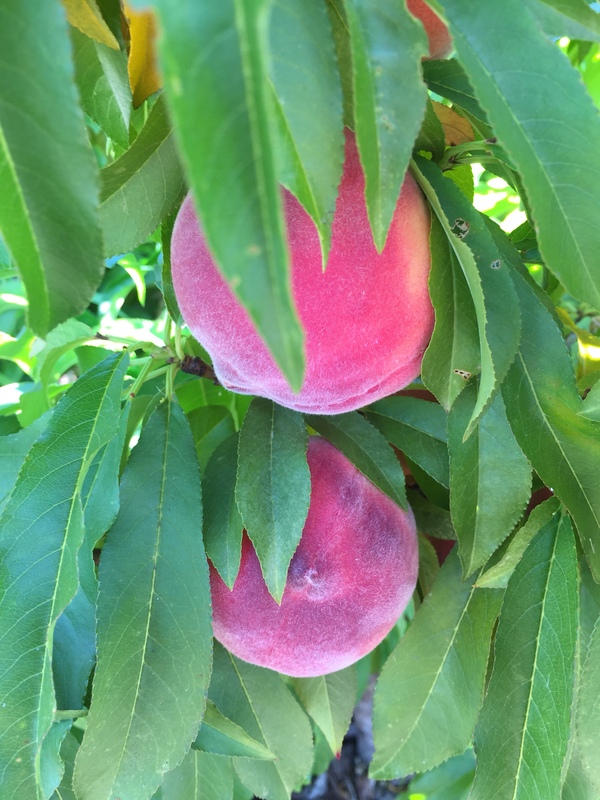 Today’s #OneGoodThing was seeing these beautiful peaches ripening on our tree. We only just planted the tree a few months ago, so this is our very first crop. We’re very excited and hope to be inundated with fresh fruit! Mama and I been enjoying watching the little tree grow. But these glorious, nearly ripe peaches were especially heartening to see, because we had just discovered a gopher breached our raised garden box and ate our carrot crop under the soil! Day 190 of 365. And Day 921 in a row (here’s the first 366 & the following 365)! Oh, gophers are such pests!